News - Page 3 of 5 - Superior Tank Co., Inc. Recently, the rates on tank leases have changed slightly which may benefit customers interested in purchasing a new tank. Through the tank leasing program, customers can purchase new tanks and then spread out payments over several years. Our tank leasing program applies to both our welded steel tanks as well as our bolted steel tanks. Using the leasing program allows our customers to conserve capital funds and use revenue from operations to make lease payments. Customers still retain ownership of the tanks, similar to a straight purchase. A variety of public entities as well as non-government agencies can utilize the tank leasing program including water districts, municipal utilities and private companies. The terms of our tank leasing program range in length from 24 to 60 months and our rates are very competitive. We offer the most economical terms as our tank leasing agent works with a variety of funding sources and we will customize a package most advantageous to you. For comparison, a steel tank with installation costing $100,000 could be as low as $1869 per month with a term of 60 months. Our leasing specialist will be able to provide details and price estimates based on current rates and the specifics of your project. Our customers can lease a wide range of bolted steel storage tanks from 4,000 to 3,500,000 gallons and welded steel tanks up to 2,500,000 gallons. In addition to the price of the steel tank, the installation and other site work costs can be incorporated in the lease. Superior Tank Co., Inc. is a licensed General Contractor in several states and we can perform a wide scope of work under a single contract. Tanks under the leasing program can be used for storage of a variety of liquids including potable water, water for fire protection, rain water harvesting and wastewater. The Federal Reserve is predicting two more rate increases in 2016 so lock in your lease rates NOW! Superior Tank Co., Inc. (STCI) is proud to announce the ground breaking of our newest production facility in the State of Texas! The new facility is an expansion of the existing Operation Center just outside of Houston in Rosenberg which currently serves as a base for the company’s Gulf Coast and East Coast tank installation and service teams. The factory will be dedicated to the production of bolted steel and welded steel storage tanks. According to Huel Loden, Gulf Coast Regional Manager, “developing a manufacturing facility in Texas is the final piece of the puzzle” allowing STCI to better position itself for future growth in both the domestic and global market place. He goes on to say, the Marquez family, owners of STCI, understand that the key to our success is lead by a top down culture where customer relations is the main focus which is why from the beginning STCI’s focus has always been customer service. 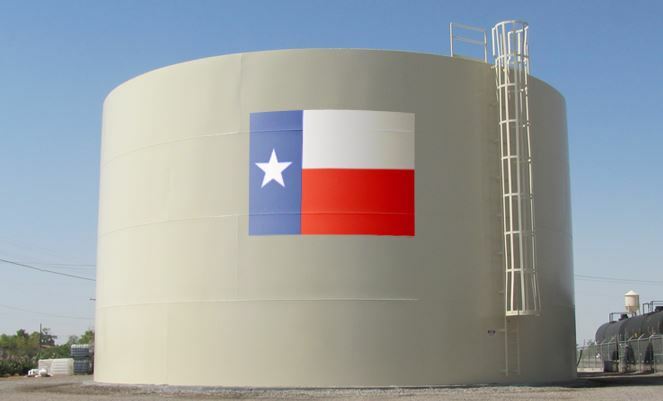 The Texas facility will supply a range of both bolted and welded steel tanks ranging in size from 4,000 gallons up to 3,500,000 gallons with a variety of finishes. Our bolted steel tanks will be available as factory powder coated, hot dipped galvanized and stainless steel. Our extensive experience and vast knowledge of the region ensures our tanks are manufactured and installed to meet the needs of the local market. 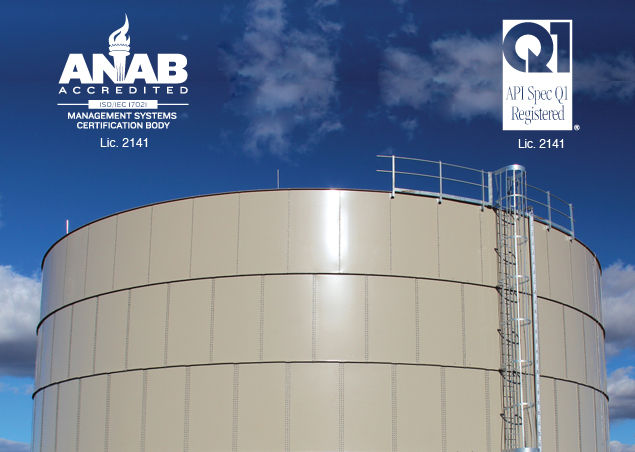 STCI’s steel tanks are designed to comply with numerous industry standards such as American Water Works Association (AWWA), American Petroleum Institute (API), FM Approvals and National Fire Protection Agency (NFPA). In addition, the Rosenberg plant will be able to supply various tank parts and accessories from our more centralized location. Superior Tank has been doing business in Texas for over 20 years and is looking forward to continuing our focus on providing our customers with the best customer service possible. A new bolted or welded steel storage tank can give you a gift which keeps giving all year long; peace of mind knowing you are prepared. By adding supplementary water storage, you can rest easy in the knowledge your system will have sufficient water supply when it is needed. Installing additional water storage tanks in remote and perimeter areas can help you get ready for fire season. Having abundant water supply readily available can save precious time and make a huge difference when a fire or disaster occurs. Besides water storage for fire protection, bolted and welded steel tanks are used for redundant water supply when other storage tanks need to be taken offline for maintenance or repair. Extra storage capacity also reduces the chance of running out of potable water in event of a line rupture or natural disaster. 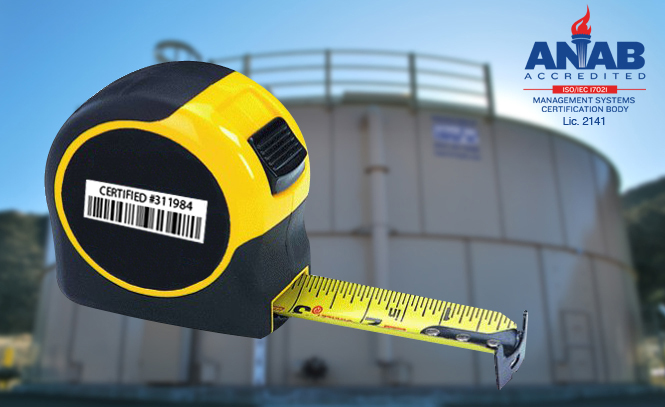 Even Our Tape Measures are Certified! Superior Tank Co., Inc. is dedicated to the quality of our bolted steel tanks and has implemented the ISO 9001:2008 / API Spec Q1 quality assurance program. The program uses the internationally recognized ISO 9001:2008 program as a basis then adds other procedures relevant to the stringent requirements of the American Petroleum Institute (API) under the Spec Q1 standard. The ISO 9001:2008 / API Spec Q1 program covers a wide variety of areas including steel tank ordering policies, engineering processes, manufacturing methods, shipping/transportation procedures and installation practices. All documents regarding the steel tanks are carefully governed and tracked ensuring any changes made after the initial order are communicated throughout the organization. Out of sync documents could result in the tank being manufactured or installed incorrectly. Also, our engineering department utilizes a central library of tank components which guarantees all steel tanks and parts are consistent from one tank project to another and components fit together properly. Another example of ISO 9001:2008 / API Spec Q1 is the method tank engineering designs are extracted and transferred to our bolted tank manufacturing department. The tank design is exported and component specifications are directly imported into the machinery used to fabricate each part. CNC machines are then used to precisely craft components to the proper size and profile. This allows complex shapes and radius cuts to be made with extreme accuracy. 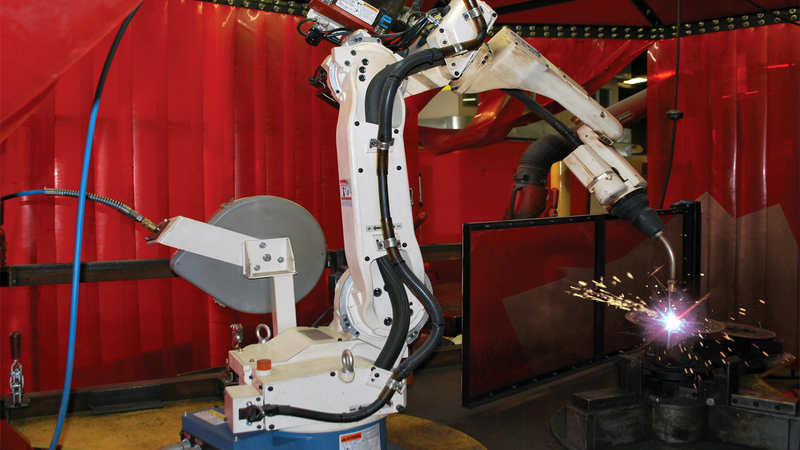 Tank components requiring welding are fused to one another using Automatic Robotic Technology (A.R.T.). This advance equipment allows us to produce 100% accurate and perfect welds for maximum strength. When a bolted steel tank is ready for shipment, the final Quality Control inspector verifies all tank components, hardware and materials are included. A report is completed and pictures are taken for record keeping purposes. To accurately track installation and any repair work, a field service management software is used. Various documents are signed off by the customer to signify key benchmarks. Other processes and procedures have been established to standardize measurement tools and increase product reliably and consistency. Specific templates have been set up throughout the manufacturing facility to quickly and accurately verify certain key aspects of parts such as angles and material thickness. Even the tape measures used throughout the factory must be certified for accuracy! The end result of this hard work is a steel tank which is exactly what was ordered, assembles as designed, and is manufactured to last. Use our chat feature in the bottom right corner of the screen, or send us an� email here! Evaporation = 5 ft per acre! As most people have discovered, water loss through evaporation can be significant when water is stored over a period of time. As water has become very scarce, farmers and water districts are striving to store and conserve as much water as possible. An open air reservoir with 10,000 sq. ft. of surface area can lose as much as 175 gallons of water per hour! A bolted steel tank or a welded steel tank from Superior Tank Co., Inc. (STCI) allows customers to store irrigation water for longer periods with very minimal water loss due to evaporation. The rate of evaporation is based on water surface area, wind speed across the water surface and humidity in the air and our steel tanks reduce or eliminate these factors. Reducing the tank diameter and increasing the tank height can significantly decrease the water surface area and evaporation rate. 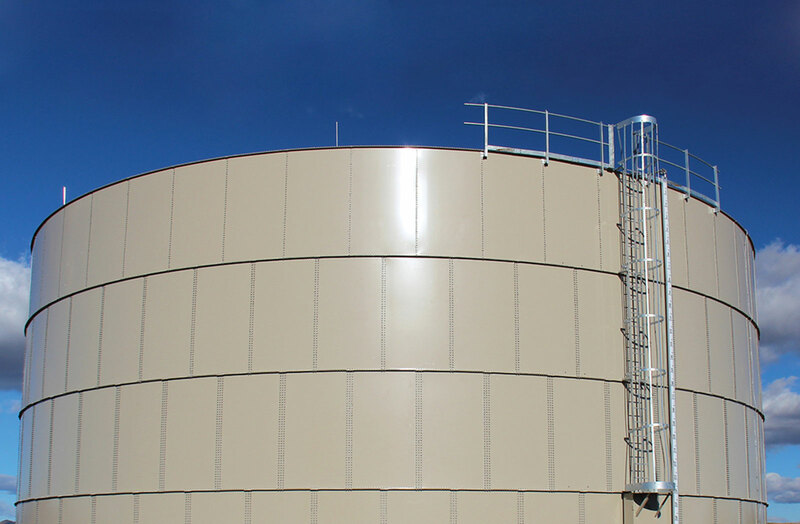 STCI offers a variety of steel tanks ranging from wider and shorter reservoirs to taller and narrower standpipe tanks. In addition, as both welded tanks and bolted steel tanks are commonly closed top, the amount of air movement at the water surface is very minimal, even on windy days. The only opening at the top is a roof vent to prevent negative or positive pressure buildup draining or filling the tank. The final factor which impacts the evaporation rate is the humidity level of the air. If the air is dry and can absorb additional water, than the evaporation rate will be higher. Conversely, if the air is very humid and saturated with water, the evaporation rate will be considerably less. Steel tanks are designed to minimize the amount of humid air escaping from the tank and therefore the air inside the tank is near the saturation point. This is the reason why entering a water tank on a warm day can feel similar to being inside a sauna! All STCI steel tanks are designed for extremely high levels of humidity and the entire interior of our tanks are coated to protect the steel from corrosion. All structural components of bolted steel tanks are factory powder coated at the STCI manufacturing facility to prevent moisture from reaching the steel. Bolted steel tanks are also available with a corrosion resistant, hot dipped galvanized finish. 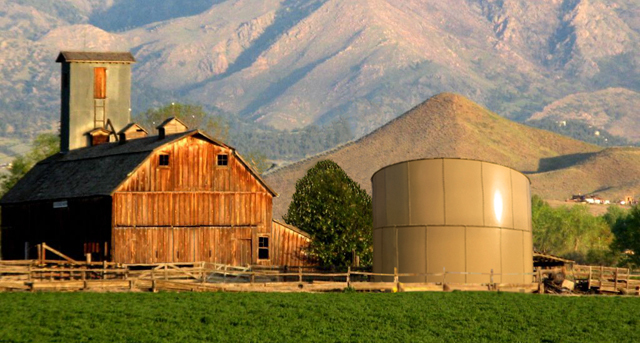 Our welded steel storage tanks are coated in the field after installation using a liquid coating to seal the steel. In addition to water loss due to evaporation, our bolted steel tanks and welded steel tanks reduce water theft as security devices can be optionally installed. Water sample boxes and roof hatches can be locked to restrict access to the water. In addition, roof access can be eliminated by installing ladder cages with lockable anti-climb devices. In addition to water storage, STCI bolted steel tanks and welded steel tanks are well suited for storage of liquid fertilizers and dry bulk materials. For existing bolted and welded steel tanks needing repairs or service, we can supply and install a variety of parts and accessories. As bolted steel and welded steel tanks have evolved over the last 50 years, so has the technology and machinery used to manufacture the tanks. Superior Tank currently uses numerous advanced pieces of equipment including A.R.T. (Automated Robotic Technology). A.R.T. is used in the Rancho Cucamonga manufacturing facility to precisely weld raw materials together to form various tank components. A.R.T. is a 300lb robot featuring 6 axis of articulation allowing A.R.T. to accurately weld joints in even hard to reach areas. All aspects of the welding process including power, wire, speed and angle of approach are regulated by the computer for extreme consistency and 100% accurate welds. In addition to the accuracy and strength of the welds, the seams are also smoother allowing for better coating coverage and corrosion protection. As errors and weak areas are eliminated, fewer parts are rejected and material waste is minimized. A.R.T. is used for a variety of tank parts and accessories used with steel water and oil tanks. For example, tank nozzles, flanges, manways and piping are welded together in the factory. When these components are used with bolted tanks, the parts are powder coated then shipped with the tank kit to the installation site. 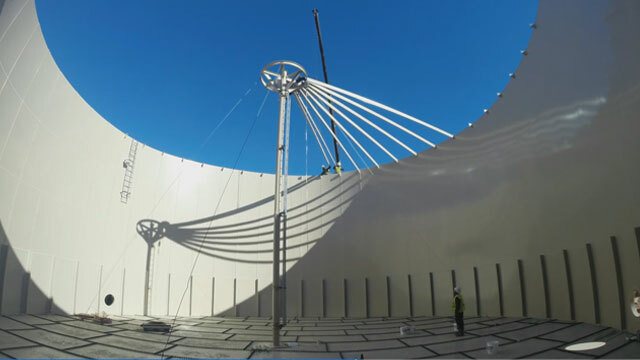 For welded steel tank use, the parts are field coated after being installed onsite. A.R.T. and other technologically advanced equipment allows Superior Tank to custom fabricate numerous steel tank elements with unmatched precision. Click here for more information on A.R.T and our manufacturing process! In late 2014, Kiewit Construction awarded Superior Tank Company Inc. the contract to manufacture and install a water storage tank as part of a large rail operations center. The facility is part of the $486,000,000 Metro Gold Line Foothill Extension project located in Southern California, and includes 11.5 miles of light rail track as well as an operations and maintenance facility. The bolted steel tank is part of the Sentinel series of fire protection tanks manufactured by Superior Tank Company Inc. The Sentinel steel tank for the project was engineered to the specific requirements of the project and was designed to store 600,000 gallons of water for fire protection. 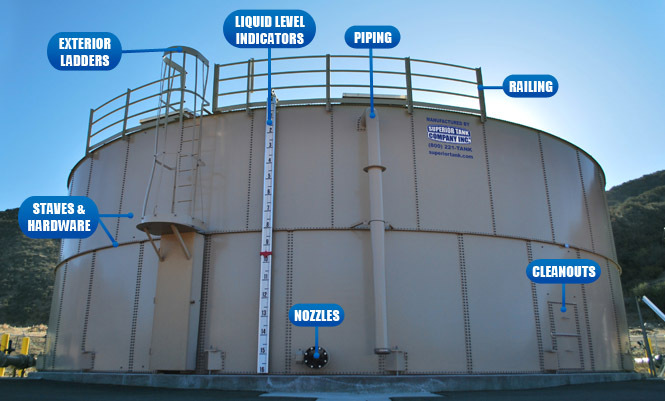 The tank meets AWWA D103 standards and applicable local building codes. In addition, the tank includes special features and complies with NFPA 22 standards to ensure the tank operates properly for fire suppression. As the tank is considered essential for post-earthquake recovery and is essential to the life, health and safety of the public including post-earthquake fire suppression, the tank was designed to Seismic Use Group III and Risk Category IV standards. This Seismic Use Group is the most stringent and requires seismic design loads be increased 50%. The exterior powder coating on this Sentinel tank is a custom color to match the other structures on the site and Superior Tank Company Inc. manufactures tanks in a wide variety of standard and custom colors. The high gloss powder coating was applied at the factory using specialized equipment and is expressly formulated for maximum UV resistance. For exceptional corrosion resistance, encapsulated nuts and bolts were used throughout the tank.